We took Lukas to the doctor for his 3 year checkup yesterday. I, meeting them after work, arrived about half way through the appointment. Once the pediatrician had left the room I turned to Mrs. LIAYF and asked if there was anything the doctor had mentioned before I arrived. "Really? She was CONCERNED about a few little scrapes?" "No" she replied. "She actually thought they were great." "Yeah, she said that too often she sees kids his age with perfectly smooth and unbruised legs. It's many of those kids that she can tell rarely get outside to play." This statement kind of floored me. Because, at his age, I couldn't imagine not getting Lukas outside to play. He is so active. It's hard to believe there are kids out there who spend most of their time inside, and not engaged in active play. But apparently they do exist. Then again maybe those parents have just bought their kids knee pads. Like we have been considering for Lukas. This post brought to you in conjunction with FatherHood Friday over at Dad-Blogs.com. Head over there to read more high quality fatherhood related posts. Two giveaways in one week? It's true. Perhaps I should start a review blog. I'll make this one short. Legendary folk artist Pete Seeger is still making quality music. 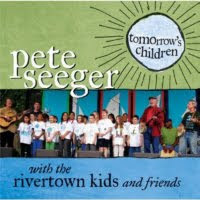 In fact Pete, who won a Grammy for his 2008 release 'At 89' yesterday released the album 'Tomorrow's Children' in which he collaborates on 19 tracks with a 4th grade class from Beacon, New York. The result is a fun mix of songs that come across like a town sing-a-long with Pete leading the charge. We put the Disc in while preparing dinner last night and were pleasantly surprised by the fun presentation of the storytelling on the tracks. It will probably get some decent rotation here for a while. The fine folks at Shorefire Media were kind enough to send me the Disc to listen to and review and have also indicated they will ship a copy to a one of my readers to enjoy as well. If you are want to be considered in the drawing for this disc, simply leave a comment here by the end of the day on Friday, July 30th. Tweet this post, or let me know you are a new subscriber to this blog for extra chances to win. Must be a resident of the US or Canada to win and leave a valid email address or Twitter handle. Full disclosure: All opinions expressed in this review are my own and not influenced in any way by the company. Any product claim, statistic, quote or other representation about a product or service should be verified with the manufacturer or provider. I have been compensated or given a product free of charge, but that does not impact my views or opinions. "Now remember Buddy, if you get up and turn on your lamp after we leave the room, we are going to take it away, okay?" Less than 10 minutes later, sitting on the couch, we could hear him get up and wander around his room. Wanting to nip this behavior in the bud, Mrs. LIAYF went up and told him to go back to his bed. When she returned I asked her "Was the lamp on?" "Nope, it wasn't" she replied. " Fair enough. That didn't last long though, as mere minutes later we could again hear him get out of bed. This time, we decided to give him some extra time to put himself back to sleep. It was at that point we started to hear it. It was faint but it sounded kind of like a toy car being wound up. Over and over again. "Can you turn up the monitor?" I asked Mrs. LIAYF. After listening closely I guffawed audibly. "I know what that is!" I declared, still laughing. "Ingenious!" After 15 minutes or so, the interval between the sounds had gotten longer. Then a few minutes later, it stopped altogether. Mrs. LIAYF made one last trip up to peek in on our son, and returned holding the source of the sound. "I found him asleep, with these tucked under his arm." Smiling, we both just shook our heads. IT has happened here. After 3 years, plus another solid month of talking it up, we finally made the much anticipated and dreaded switch. In other words the walls have come down. The cage with no ceiling is history. The rushing waters of enthusiasm are no longer dammed. Give him liberty or give him sleep. Lord help us, we have moved Lukas from his crib to a twin bed. Actually, we are two nights in here and day one couldn't have started any better. We spent all Saturday afternoon and evening making the transition. Tearing apart the crib, rearranging the room, moving in the twin bed. 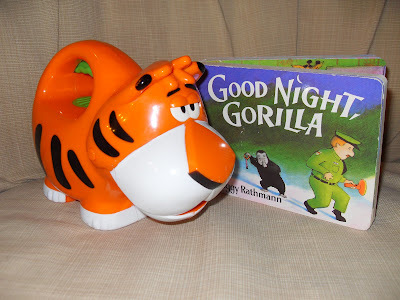 Then by the time we had finally readied our son for bedtime I read him a couple of stories followed by Mrs. LIAYF spending about another half hour preparing him by explaining that once he was in bed for the night, he needed to stay there. period. Then she left. Exactly 7 minutes later from downstairs we heard him jump down and scurry around his room. Two minutes after that, Mrs. LIAYF having snuck up, opened his door. He was startled. Without a word he bolted to the bed making a diving leap back in. The image of this still cracks me up. He promised he would stay there. We were skeptical, but he then dozed off and slept for the next nine hours! Maybe this transition thing wouldn't be as difficult as we had feared. Last night? Um, slightly different story. Mrs. LIAYF's first trip up was a mere 5 minutes in. He was looking out the window. Not long after that he was up again. 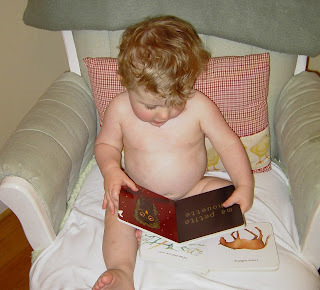 We gave it a few minutes, but couldn't be too upset with him because when his mother poked her head in he had turned on the light and was 'reading' books to some of his stuffed animals. It was cute. And so it went. After the 5th or 6th trip up the stairs to coax him back to bed, Mrs. LIAYF told Lukas she would take away his lamp if he turned it on again. That was just before MIDNIGHT! That final threat apparently worked though, as at 12:23 we called it. He was finally asleep. Thankfully, when I left the house at 7:30 he still hadn't woken up. Happy Saturday readers. I wanted to take a quick break from enjoying the summer sun here in Seattle to let you know the fine folks at Dove have developed a new line of bath products with guys in mind. They were also kind enough to send me a comfort kit to try out as well as one to giveaway to a lucky reader. 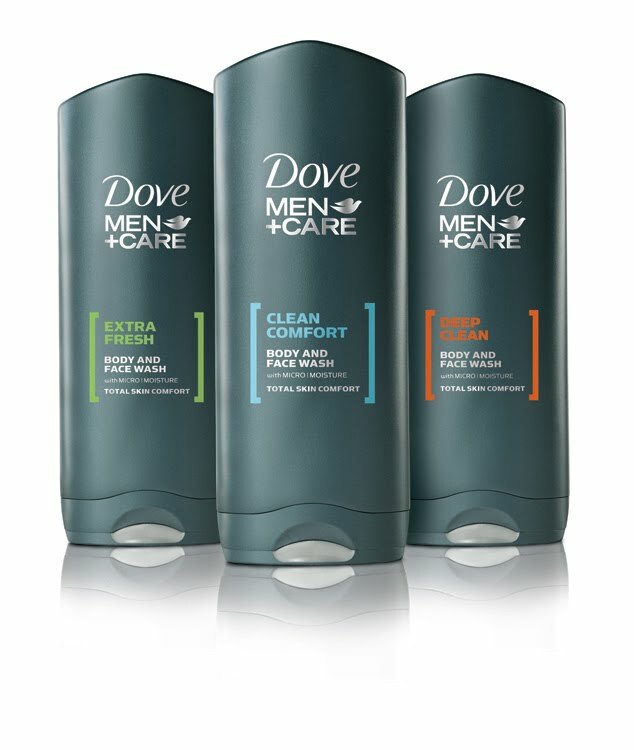 Dove Men + Care Body & Face Wash is the only men’s body wash to be formulated with ultra-light MICROMOISTURE technology, a unique gel technology that activates on skin during lather to guard skin against discomfort. In addition, the Body & Face Bar thoroughly cleanses skin while fighting dryness with Dove signature ¼ moisturizing cream. Also, the Active Clean Shower Tool ­was created to give an even better body wash experience by delivering maximum lather and maximum scrub in each shower. Ahh, it must be because of that MICROMOISTURE technology. After using it I have discomfort guard. I wish I had had that on several occasions from my past. 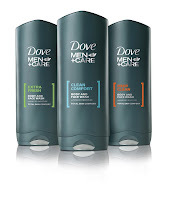 Anyway, if you want more information about the products check out the Dove Mens Care website for details. To be entered in the drawing for the comfort pack, just leave a comment on this post. Extra points for telling me what you could have used discomfort guard for in the past. You can also tweet this giveaway, making sure you mention @Seattledad in your tweet. Must be a resident of the US or Canada to win and leave a valid email address or Twitter handle. Winner will be chosen on July 31st. 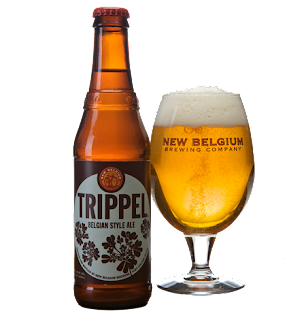 Drinking: Trippel by New Belgium. Cold, refreshing, and packs some punch. Mmmm. 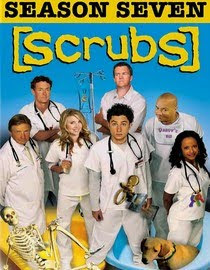 Watching: Scrubs Season 7. Not as funny as the first couple seasons, but still an excellent show. Reading: The Forever War by Dexter Filkins. Haunting, mesmerizing, and powerful look at the war. 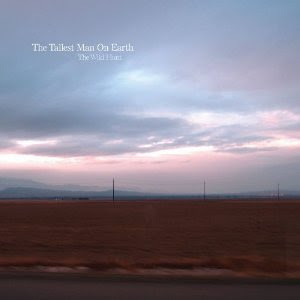 Listening to: The Tallest Man on Earth. Over and over and over again. Great Disc. Playing: Baseball including Catch, with Lukas. At this rate, he's sure to make the show. So tell me readers. What are your obsessions these days? I have a confession. I am self medicated. And truth be told, an addict. What's more, I am also over medicating my son. 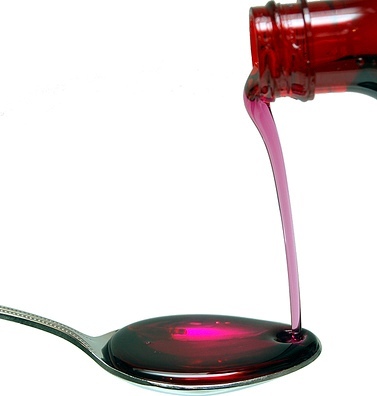 It's shameful and I know instinctively that I should cut back, but I have procured a pipeline to a seemingly endless supply of what some have described as the best medicine on the market. This stuff is Grade A. Top Shelf really. Unfortunately much of it does come from questionable sources. plus, being an addict I have been known to push the limits on more than one occasion, much to Mrs. LIAYF's chagrin. Oh, she also dabbles in the stuff from time to time but nothing to the extent that Lukas and I have experimented with. 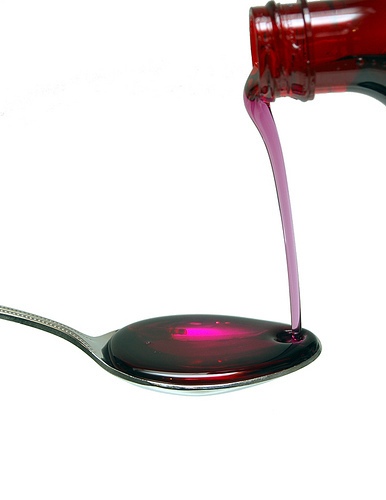 There are many delicious flavors of this medicine. Lukas' favorite is undoubtedly Raspberry. It really makes him deliriously happy. He always wants more. To keep it safe, I will hold him in my arms before dishing out more. Sometimes I have trouble telling when I've doled out too much. But during that initial high, all is good. Then things often get goofy. It's funny how when you are on the stuff you are uninhibited and will do things you will regret later. Often I will make a big fool of myself and will wonder "Did I really do that?" I'm aware of the problem, but not too worried about it right now. I know this medicine will be harder to come by as the year's pass. I'll naturally have to cut back my intake. But, to the extent I can, I fully intend to keep feeding as much of it as I can to my son. I just hope he doesn't build up an immunity. "Square up Buddy" I told Lukas as he held the stubby blue foam bat that we had just bought him from the local toy store. At the time he was again nearly facing me. I had just taught him how to properly position his hands on the handle of the bat, how to hold it slightly upright and behind him, and where to position his feet so that they were properly spread apart and at a 90 degree angle from me. After thinking it over for a couple of seconds he obliged, as I stood maybe 10 feet away from him with a matching foam blue ball in my hand. The ball was about the size of a large juicy apple. Then as he looked intently at me, feet now in position, I tossed the ball underhand towards him. It was difficult to gauge how much force to deliver it with, not knowing quite how he would react to it's approach. The ball sailed wide and short of the intended air about 18 inches in front of his stomach. It wouldn't have mattered though, as he started his swing much to late. It was a swing that resembled a logger chopping at a block of wood. We tried again. My next throw was much closer to where it needed to be, but this time Luke's swing was completed before the ball ever arrived. I hadn't realized I had such an awesome change up. We persevered, trying over and over again. Each time the bat would get a little closer to making contact with the foam ball. But as you could expect from a 3 year old, the lack of success soon began to take the shine off the moment. The bat started to fly. He started to spin in circles on purpose as the ball came near. And then, he just dropped the bat and decided it was time to play with something else all together. He was fine with that. Me? I REALLY wanted him to hit that dang ball! "Wait. Wait Buddy! Let's give it one more try." I called to him as he was walking off. Like a vision from the heavens an idea had come to me. And as he turned, a smile formed as he immediately grasped my plan. He grabbed the bat once more and squared himself up. I waited until he was good and ready, pausing for dramatic effect. Then, with the perfect arc and speed, I tossed the ball in his direction. His timing was perfect and his form flawless as the bat met the Soccer ball square on. Whack! The weight of the ball prevented it from going more than a foot or two back towards me, but that didn't matter. "Yeah me! I did it!" he enthusiastically shouted. "Throw it to me again!" I'm pretty sure this is the way Edgar Martinez got his first hit too. This post brought to you in conjunction with FatherHood Friday over at Dad Blogs. Head on over and check out all the great Fatherhood related posts. Have you ever had heard about an event, which seemed tailor made with YOUR kid in mind? One that, if as advertised, could manifest itself as the single most memorable moment in his young life? One that is close to home, and just happens to be at his favorite place to hang out too? Well, we did. And I was we were determined to attend. Even if the temperature was in the upper 80's, there was no shade, and Lukas wasn't feeling well - being 24 hours removed from a fairly nasty bout of the stomach flu. Pffft! Minor details to a parent determined to create lasting memories for his first born child. 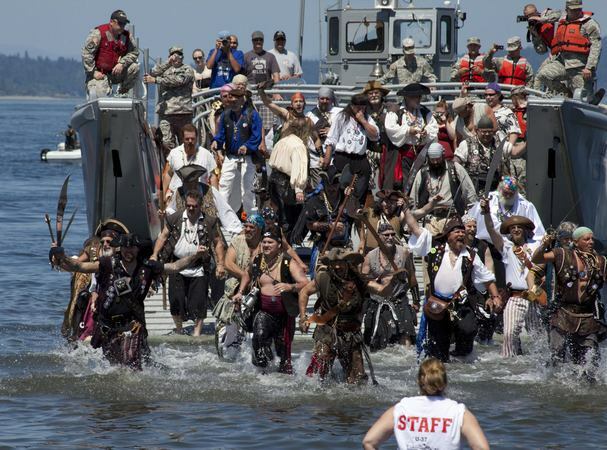 That's because the Pirates were landing at Seattle's Alki Beach. If you aren't quite getting the significance of this event, then perhaps it has been a long time since you were 3 years old and completely ape feces over everything Pirate. So, like I said, Lukas wasn't feeling terribly well, but the Landing was nearby and we figured we could just simply arrive, see them storm the beach, then leave for home for some lunch and an early nap. Despite the insane parking (I finally just parked about 15ft from a STOP sign and decided to roll the dice on getting a ticket) we did eventually make our way onto the heavily crowded beach where there were several sailing boats out on the water firing off canons. An attack seemed imminent! So I hoisted my Jolly son onto my shoulders, in the direct sun, to get a better view and walked towards the front. That was at about 11:30. I assumed the landing would be any minute. About 45 minutes later, with Lukas now fidgety, tired, and frowning, we received word that the Pirates were finally on their way. They were in a separate ship, around a bend. Once again the excitement built as we saw them approach from a distance. We let it pass that they were coming in aboard a military style landing craft and not a masted sailing ship adorned with a walkable plank. Then, just as all the sailing ships cleared a direct path for the Pirate ship to storm the beach, Lukas said to me "Daddy, I want down. I'm hungry". Now? After all this, he wants down? "In a minute buddy." I replied "The PIRATES are about to land!" It was at that point that, not unlike Fonzie gearing up to jump the barrels in that famous Happy Days scene, the Pirate ship.....motored right on past the opening. After a completing a big circle, the ship once again approached. The crowd tensed. And once again the ship sped right on past the opening to the audible dismay of those gathered. "Come on, land already!" Someone nearly shouted. Perhaps the Bucaneers were finishing off one final round of liquid courage. Then, after a second full circle the Pirate landing craft finally turned and approached the beach. A cheer rose from the crowd. Then, in an instant, they were upon us. 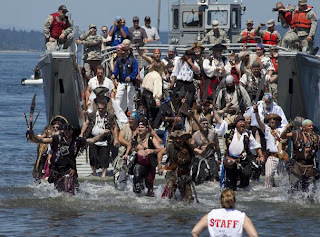 A whole slew of authentically dressed pirates, many looking old and full of biscuits & grog, slowly hopped off of the landing craft into the water huffing, puffing, and flashing their swords. One paused to dump water out of his boot with a smile, while another immediately walked over and hugged someone in the crowd. Though certainly a spectacle, it wasn't exactly what we had anticipated. "They are friendly Pirates!" Mrs. LIAYF explained to Lukas who remained sullen and quiet on my shoulders. "Is he enjoying this?" I asked. "Yeah, I think so." She replied. The Pirates then heralded the arrival of their captain (a dead ringer for Depps Jack Sparrow) with song as he was driven onto the shore not 20 feet away from us. And with that the show was over. Thankfully. We quickly got Lukas out of the sun and stopped to feed him much needed lunch. Seems that was all the treasure he needed to once again lift his spirits. Something has been on my mind lately. Lukas is three now, and at least for the foreseeable future an only child. Mrs. LIAYF and I do plan on bringing another child into our household but, as with Lukas (whom we waited nearly 5 years for), we are not sure how long that child will take to materialize. Even if this happened within the next year, which is a very small possibility, The age difference between him and a brother or sister will be at least 4 years. Most likely more. Is this a problem? I would hope not, but the thought does cross my mind. I grew up with a sister who was two years older than me and a brother who was my Irish twin, being 9 days less than a year older than I am. Mrs. LIAYF had two sisters with the age gap between all three being 6 years. True, this was often a recipe for disagreements, and many outright fights. 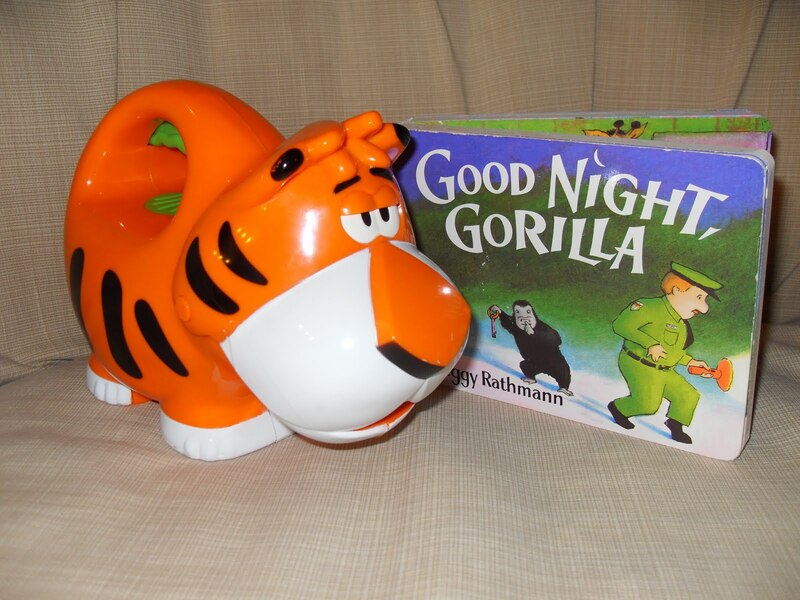 But it was also terrific for us to always have someone on hand to play with, at all hours of the day. In fact, my early childhood memories are dominated by playing every game imaginable with my brother and sister. They are predominantly good memories. My wife, son, and I now live in the most populated neighborhood in our city, and there are many kids of various ages on our block. Plus, come September, Lukas will once again be attending the same preschool with many of the friends he spent his daycare days with. In short, he has a lot of playmates his age with which to visit. However, much of our time is spent at home, with just the three of us. He loves playing with Mrs. LIAYF and I during that time at home, but as he gets older I can see that it would be great to have another member of the family who was as enthusiastic as he is about his toys and who was not also often distracted by life's task list. My biggest concern is that the age gap between siblings is in danger of becoming so wide that when one comes along they will not be the best playmates for each other. Maybe, because I love my son as much as I do, I am reading too much into the fact that he won't have a sibling close to his age as he grows up. Perhaps it won't be a big deal to him at all. I sure hope that's the case. I have a lack of experience here readers. So tell me, did you have siblings who were withing 4 years of your age? And if not, what were your experiences not having a built in playmate to experience the ups and downs of childhood with? Mrs LIAYF was all a twitter a couple nights ago. She traveled from room to room focused on her task. She was sorting, winnowing, and counting. Soon, she was also grabbing a couple of canvas bags and filling them to capacity with those that didn't make the cut. Each bag had a specific intended destination. Only then, once her task was complete, did she make her way back to the kitchen where I had been planted the whole time in front of my laptop - most likely staring blankly at my Tweetdeck application. She then grabbed a post it notepad and pencil and scribbled something down while smiling over at me. "Give me a number" she instructed with a sparkle in her eye.
" Higher than 18o?" I tried again. At that point she extended the post it note in my direction. "That figure does not include the two bags sitting in the foyer (they contained about 65) or what we have downstairs in the basement playroom that aren't in regular circulation (maybe another 175)." I knew we had accumulated a large number since Lukas was born through gifts, thrift shops, and hand me downs, but this number surprised even me. Lukas just turned 3 and his library already consists of nearly 500 kid books. Many of them story collections by a single author. An impressive number. One that upon reflection, Mrs. LIAYF and I are proud of too. Plus Lukas soaks them in and rarely fails to ask for "Just one more?" Most often, we oblige. Sometimes it feels like I have read each one of them nearly 500 times. "I got a lot to do", "but...that's okay"
My apologies to Harry Chapin, but just the other day - Lukas' 3rd birthday - we were recovering in our living room from the Pirate party we had had earlier that afternoon. My parents were also here and we were all pretty exhausted. In fact my dad was starting to doze off on the couch. Lukas, on the other hand, was up from his nap and looking for fun. After playing with a few of the toys he had received earlier in the day he got up and ran off to the foyer. When he returned he was holding a baseball and two gloves, one just his size. "Baseball!" he exclaimed, holding the mitts over his head. "Do you want to play catch Buddy?" "Okay, in one minute. Stay here"
And with that, I walked to the foyer myself and returned with another adult sized glove. I tossed it to my old man, who had perked up upon hearing the interchange. A smile crept over his face at this. 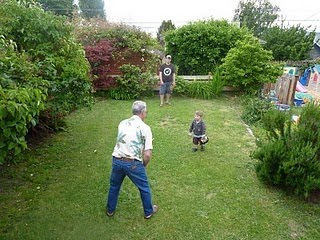 At this point, with new life breathed into us, we all made our way to the back yard for our very first three generational game of catch with a baseball. Lukas was pretty excited, and seemed to be doing pretty well with his throws, but still needed some work with keeping the mit on and catching with it. However, what he lacked in polish, he more than made up for with enthusiasm and creativity in his goofy wind-ups while preparing to throw the ball. In between the short throws and catches to Lukas, my dad and I were able to stretch things out to a longer distance and begin feel the zing of horsehide smacking leather. It was, after all, my dad who taught me to throw and catch a baseball. Probably at around the same age that Lukas is now. It felt really good. It always does when we can work in a game of catch. "You do realize this is my Little League glove?" I said to my father, holding up my mitt as we exchanged tosses. "Really?" He replied. "Yeah, I won it that year for selling the most candy bars. I think you told all the vendors who stopped by the farm that they had to buy several bars or you wouldn't do business with them anymore". And at that we both laughed. I've always had a great relationship with my father. He is an exceptional man who has always been there for me. He still is. And though we have good conversations on those occasions where we are not too busy going about our busy lives, some things most often go unsaid. It's funny. As a grown man I can say three words 10 times a day to my 3 year old son, but still feel awkward about saying the same three words to my own father. That's where baseball comes in handy. Because between a grown father and son, nothing says 'I love you' like a hardball tossed back and forth from 60 feet away. At least that's what I've found to be the case.